Written by Ananda Devi Domingo-Almase. Philippine President Rodrigo Duterte’s independent and revisionist foreign policy became an enticing subject of political discourse by analysts as well as apologists in his first year in office. 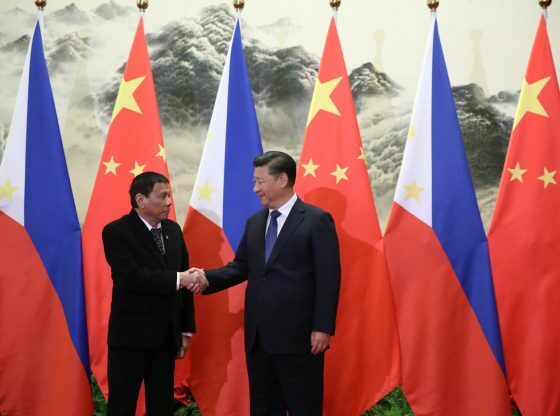 This was the time when, despite the Philippine victory in the South China Sea Arbitration in 2016, the newly installed President turned towards China and away from the United States as the Philippines’ traditional ally. As he threatened to separate from the US, President Duterte praised China for its economic leadership and aligned himself to its ideological flow. President Duterte has also lashed out at the US, the European Union, and other human rights advocates at home and abroad for criticising his war against illegal drugs and for making him accountable to an international court. It is for this reason that his foreign policy autonomy sent shock-waves through the international community and regional power structures. The tremor caused by this major shift in Philippine foreign policy triggered much debate in the policy community as well as in the study of security and strategy. Various perspectives emerged, explaining the motivational factors and/or likely consequence of the state’s behaviour in foreign affairs and the public security domain. Critical views from politics found fault in the President’s conduct that could result in foreign policy disaster, abandonment of nationalist ideals, abuse of the use of force against citizens, and erosion of authority in domestic society. The official statement from the Philippine government, particularly in its National Security Policy 2017-2022, argued that the pursuit of an independent foreign policy is in line with international law and the country’s unique culture and enduring values. This idea is akin to the right to self-determination and to the principle of non-intervention which constitute juridical statehood. Succinctly, the same was used to frame the state’s option to wage war against illegal drugs in the country, and its preference for alliance and treaty making. 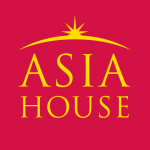 From there, strategic analysis from think-tanks rationalised President Duterte’s independent foreign policy as freedom of manoeuvrability to engage differently with major powers. Known as hedging, this strategic course of action positions the Philippines in the middle of China and the US, giving the small state room to take advantage of development assistance, diplomatic support, and defence build-up from diversified international engagements. President Duterte’s idiosyncratic behaviour as a foreign policy actor is certainly atypical for a developing state. Policy conversations from the International Relations (IR) school, on the other hand, went further to think about a range of possible future scenarios, including: loss of trust and confidence in the US by traditional allies; decline of a super power and its rules-based world order, China’s rise as a rival power in world politics; balance of power politics reminiscent of the Cold War security dilemma; and/or the emergence of a more complex and unstable multipolar world. An illuminating analytical approach in the marginal literature of foreign policy analysis can still shed light on the neglected dimension of state and society relations as a source of explanation. A theory of the state in historical-sociological studies can explain or problematise the independent foreign policy stance of a vulnerable state. Is autonomous decision-making on matters of the state likely, given the realities of internal political disputes, external economic dependency, fractured administrative machinery, and a weak military? How do these conditions explain the policy behaviour and relations of the state with its internal and external environments? From this perspective, how do we make sense of an independent foreign policy rhetoric by President Duterte? It is important to resolve at the outset the determinants and driving forces of an independent foreign policy, and the extent to which this is practised by states of various kinds. Neo-realism, as a mainstream theory in IR, describes the international system as a structural order where power disparity and the absence of a central governing authority creates tension, competition, and security dilemmas for sovereign states. Against this backdrop, independent countries make foreign policies and security strategies for national survival, maximum gains, and strategic stability. It must be noted that prior to the mid-20th century, judicial sovereignty was afforded only to institutionalised states, and not to governments with less capabilities for defence and independence. The outcome of World War II and the subsequent creation of the United Nations in 1945 ushered in a new world order where former colonies were granted independent status despite limited material statehood. Categorised as “quasi-states” by Robert H. Jackson, these countries were deemed to have common problems affecting their leaders’ decision-making capability and political authority to administer government, society, and jurisdictional territory. Specifically, the domestic challenges experienced by quasi-states pertain to fractured political institutions, inefficient bureaucracy, personalist administrative systems, short-term goals, weak coercive and extractive state apparatus, divided society, poverty, insurgency, and an ill-equipped military with an internal orientation. All of these coalesce to make the state either contested by societal groups or captured by the elite with vested interests. Preoccupation with domestic fetters hinders quasi-states’ ability to influence the foreign policy environment, much less change it, in ways institutional states use instruments of national power to protect their interests. But, contrary to a realist view of the external environment as a source of insecurity, historical-sociological theory regards the international political system as a guarantor of the existence of quasi-states. Using the latter analytical approach, these quasi-states develop strong relations with the international community for national survival. They capitalise on their international recognition to mobilise support through foreign policies for diplomatic privileges, economic assistance, development partnerships, and security. Moreover, they rely on international arbitration and conflict resolution in cases of dispute with other nations. President Duterte’s pronouncement in March 2018 to withdraw the Philippines from the International Criminal Court’s constitutive treaty is something of a puzzle when reasoned from the above-mentioned theory of foreign policymaking. But when explained from the perspective of a Chief of State, the policy becomes a strategic proclamation of the right to self-rule in the domestic domain in which external forces have no business to interfere. Unmindful of critics from the outside world, President Duterte expressed his determination to perform his key function to secure public safety and order. The rhetorical drama of the Philippine President was played at the domestic stage and projected to the world. The speech act was performed at the interface of two political settings—or what Robert Putman referred to as the two-level games of domestic politics and diplomacy. Apparently, President Duterte’s no-nonsense talk gave more importance to internal security and state authority as important pillars of statehood and nation-building. Arguably, so-called quasi-states are dependent on the international political system to survive. But in the face of domestic struggles, the lack of resolve for policy autonomy even from within will weaken the state all the more. In the wake of drug crimes and terrorist attacks in the country, there is a push to consolidate powers at the centre and strengthen autonomous decision-making on matters of national security. President Duterte’s idiosyncratic behaviour as a foreign policy actor is certainly atypical for a developing state. Yet, I would say he knows how to bargain and play the game. Ananda Devi Domingo-Almase, DPA is a Professor III at the National Defense College of the Philippines (NDCP) and the Course Director for National Security Policy and Strategy in the Master in National Security Administration (MNSA) Program of NDCP. She is also a Member of the National Security Committee of the Philippine Council for Foreign Relations (PCFR). Image Credit: CC/ Wikimedia Commons.